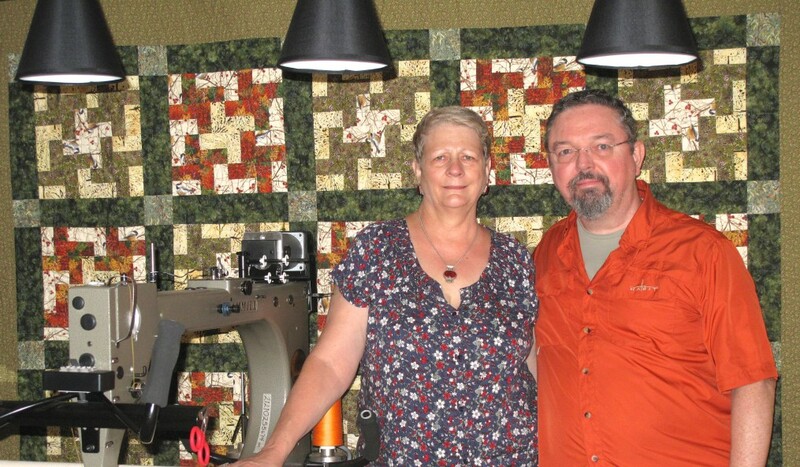 This is a quilt that it took me a while to decide how to use the fabric. 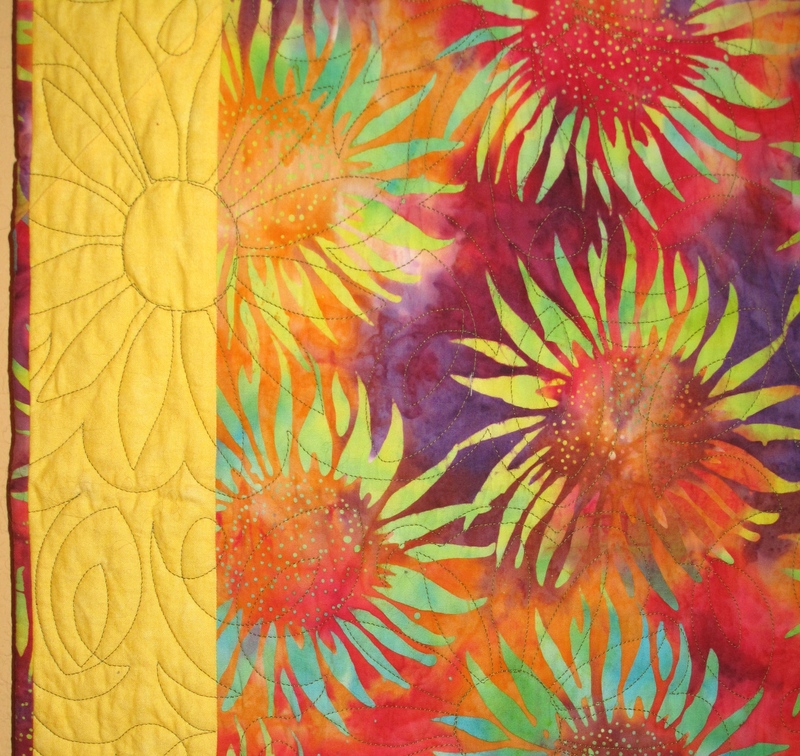 I was going to use the sunflower fabric in a traditional pieced quilt but the fabric was so beautiful that I could not bear to cut it up. So, I decided to put an yellow border around a throw-sized piece of the fabric and quit it with a complementary sunflower design.